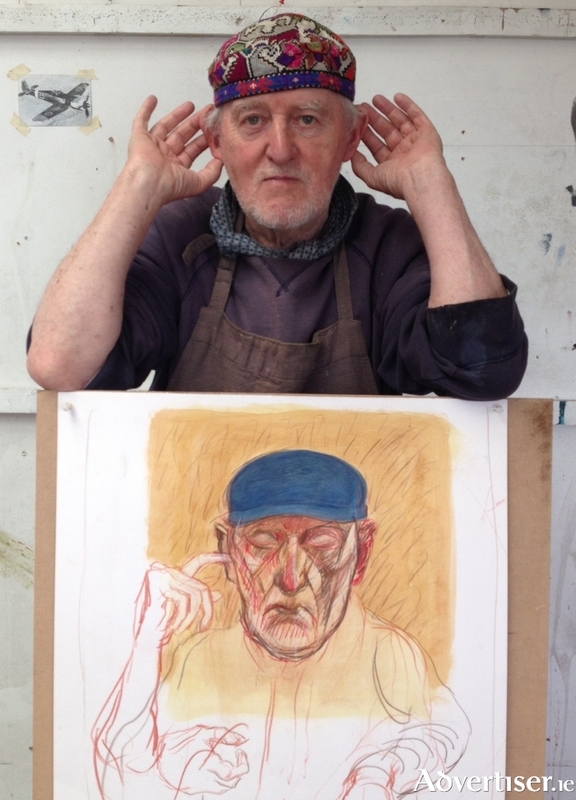 BRÍAN BOURKE turns 80 this year and the Galway Arts Centre will host an exhibition of his work, a concert, and a film screening to honour one of Ireland's most distinctive visual artists. Tomorrow at 6pm sees the official opening of Obsessions, Preoccupations, Themes & Variations, featuring work by Bourke from the last 10 years, as well as work created while attending a rehearsal by the ConTempo Quartet. The exhibition will be opened by Ollie Jennings. The exhibition runs until July 2. On Thursday June 9 at 6pm, ConTempo will play a free concert in the gallery, performing movements from quartets by Schubert, Beethoven, and Debussy, with Brían’s finished drawings and paintings of the quartet as a backdrop. Bourke will introduce the concert. Admission is free. On Thursday June 30 at 6pm, in the Nuns Island Theatre, there will be screenings of two films by Bob Quinn - Self Portrait with Red Car and Lillipup. Both films were made by Quinn with Brían Bourke in the 1970s. The screenings will be followed by a public interview conducted by Sally Coyle. All are welcome.